A team of Turkish underwater researchers last week discovered what they believe to be the world’s oldest shipwreck, from approximately 1600 B.C, greekreporter.com notes in arecent article. According to the Turkish provincial governor’s office, the 3,600-year-old Bronze Age shipwreck was discovered off the shores of Antalya province in southern Turkey. Members of the Antalya University’s Underwater Research Department located the 14-meter (46 foot) long merchant ship, which has one and a half tons of copper bullion inside its hold. The researchers took three-dimensional scans of the bullion on the ship by using sonar surveys, photo-scans, and photographic mosaic. They were able to discern that the bullion were taken from mines in Cyprus, and then molded in the 15th or 16th centuries B.C. before being put on the ship to transport them either to the Aegean region or the island of Crete. The ship didn’t make its destination as it sank from what they believe was a storm. 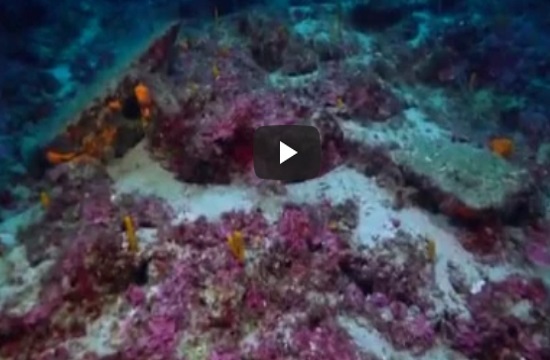 Last year, the remains of a Greek merchant ship was found off Bulgaria’s Black Sea coast. That shipwreck dates back to over 2,400 years ago, and was said to be the world’s oldest known intact shipwreck until now.